Emilie Vanpoperinghe is the co-founder of Oddbox, London’s first wonky veg box. Their aim is to tackle food waste by delivering ‘ugly’ fruit and veg to homes and offices. 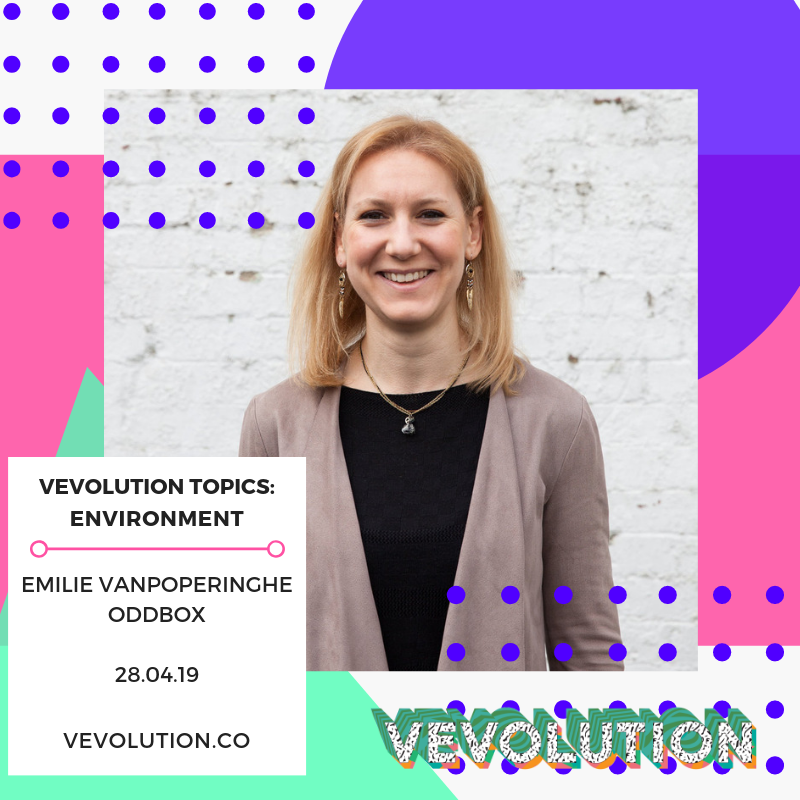 We are super excited that Emilie is on our line-up of speakers for Topics: Environment on the 28th of April - we’ll be discussing all sorts of subjects, from low impact living to food waste. For this feature, we went to Emilie to ask her for some of her top tips on reducing food waste in everyday life. Check them out below! As consumers, we need to remember that every purchase we make, either reinforces the status quo – or is a little step forward to making a bigger change in the world. We can choose to shop our fruit and veg from local green grocers, directly from farmers through farmers markets and farm shops, where the produce doesn’t have to pass such strict requirements regarding size/shape and colour. What we do at Oddbox, is rescue the perfectly tasty and fresh wonky and surplus produce and deliver it to our customers every week. Every single one of our boxes actually reduces food waste - together we can make a huge impact. This is a great way to get a clear idea of what you need for the week ahead. Finding ways of repurposing dinners for lunches the next day works well too, like for example using roasted vegetables in a soup. Reducing food waste starts with knowing what you need to use and freeze anything which might go off before you have time to eat it. Make use of apps like Olio, where you can post surplus food you have in your home for your local community to collect. Cooking for a group of people (rather than just for yourself) is a great way to reduce the amount of food wasted, as you're able to cook different meals but in bigger batches. If you live in a flat, consider signing up to a veg box or do your food shop together. At Oddbox we are on a mission to fundamentally shift food standards, normalise wonky produce and minimise food waste with our unique fruit and vegetable subscription box service. We are a social enterprise that fights food waste at farm level, working directly with farmers to rescue ‘ugly' but just as delicious produce and deliver it straight to London’s homes and offices. We provide our customers with an easy way to shop fruit and veg more sustainably and discover new seasonal produce every week. These are the fruit and vegetables that don’t make the strict supermarket requirements on shape (misshapen), size (too big or small), colour (not enough of) and markings (due to nature). We also provide suppliers with an outlet for produce that will become surplus due to over ordering from the supermarkets, and donate 10% of our produce to charities. Come along to Vevolution Topics: Environment on the 28th of April to see & network with pioneers of the environmentally conscious movement.